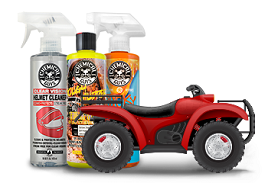 The MTM foam cannon is the perfect choice for the detailing professional or weekend warrior looking to wash any vehicle using the amazing cleaning power of thick soapy foam. 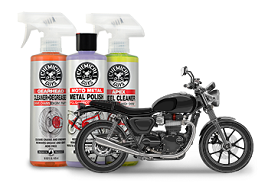 Comes with three of our fan-favorite Chemical Guys soaps! The unique air injection system of the MTM Foam Cannon creates the thickest car wash foam imaginable. The MTM Next Generation Foam Cannon uses a hi-tech nozzle to combine high pressure water, the perfect blend of air, and your favorite Chemical Guys car wash shampoo to create an amazing snow foam experience. This blanket of foam adds extra lubrication for your wash mitt to gently pull abrasive dirt and grime off the paintwork for a scratch-less car washing experience. 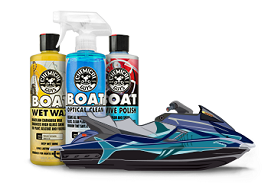 This MTM Next Generation Foam Cannon comes with three fan-favorite Chemical Guys car wash soaps for any occasion! Choose Honeydew Snow Foam for the thickest and slickest foaming experience, or for an intense glossy and wet shine, add Glossworkz Auto Wash. For intense stuck-on mud, filth, and grime, hit the car with a blanket of foamy Citrus Wash & Gloss and watch the citrus cleansers break down heavy contamination. Over 95% of swirl marks and scratches are caused from improper washing equipment and techniques. Improper washing rubs dirt and grime into the paintwork, causing scratches that mask shine with a dull and neglected finish. The MTM Next Generation Foam Cannon helps reduce swirl marks and scratches by pre-soaking the vehicle’s exterior with slick car wash soap, pulling off any loose contamination and adding extra lubrication for your premium wash mitt.